Japan has not yet ratified the Hague Abduction Convention. The Japanese Cabinet has today reportedly approved the ratification but the necessary legislation has not yet been passed by the Japanese Diet (Parliament). The issue of Japan’s joining the Hague Convention is still controversial in Japan. Many members of the Diet are flatly opposed to the treaty on the ground that it will lead to the imposition of “Western thinking” on family relationships in Japan, i.e. that it might lead to the intervention of the courts into the private life of families, to the issuance of judicial orders concerning family matters that can be enforced by the power of the state, and to both parents having meaningful rights to their children after a divorce or separation. Accordingly, newspaper editorials in Japan have demanded that, when Japanese wives “flee” foreign countries because of alleged domestic violence abroad, they must not be forced to return to the country where such abuse has occurred. Such concerns have already led to inclusion of a provision in the draft legislation that is most likely to lead to an unnecessarily broad interpretation of the “grave risk” exception in Article 13(b) of the Convention. Indeed, that is the intended result. (c) There is no meaningful system within Japan to effectively determine the merits of such claims of abuse. In addition, there is a serious concern that petitioning parents will be forced into mediation before being allowed to proceed with or complete their judicial case. There are special provisions in the draft legislation promoting mediation. If the mediation process works similarly to the current Family Court mediation process it will lead to lengthy delays and extreme unfairness to petitioning parents. Mediation is generally an extremely unhelpful forum for foreigners in family law cases in Japan, since (i) foreign parties must appear in person regardless of their place of residency, (ii) the sessions are usually short and are repeatedly adjourned for lengthy periods of time, necessitating multiple inconvenient and expensive visits to Japan, (iii) the foreigners’ views are generally misunderstood for language and cultural reasons, and (iv) the foreigners are pressured to accept unfair terms since there is no enforcement of court decisions in family law matters in Japan and because they are told that their refusal to accept the mediators’ recommendations will be held against them in a trial. When most other countries have joined the Convention the United States could choose whether or not to accept the accession. If a country has not enacted satisfactory legislation designed to effectively enforce the terms of the Convention other countries need not accept the accession. Such is the case with Thailand, which acceded to the Convention in 2002 but has not yet enacted implementing legislation satisfactory to the United States or several other countries. By contrast, as an original member of the Hague Conference, Japan will not be acceding to the Convention, but will ratify it which will trigger its immediate entry into force without any place for international review. Meanwhile, the Japanese public is being told that even if Japan signs the Convention, “The return of a child can be denied if the parent seeking it is believed to abuse the child or have difficulties raising him or her.” Daily Yomiuri, Mar. 16, 2013. 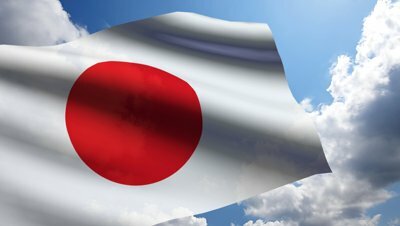 If that is the gloss that Japan intends to put on the Hague Convention – even though the Convention is expressly designed to secure the expeditious return of all abducted children except in extremely unusual cases – there is little or no point in Japan’s purported ratification of the treaty. The result of Japan’s ratification of the Convention will likely be to create the appearance of Japan’s compliance with international norms but without any of the substance.